Pesto Chicken Ciabatta sandwiches are definitely a family favorite! These are quick, easy and SO flavorful, so I knew they had to be a part of our Easy Family Favorites series! Bake or steam the chicken breasts until fully cooked. Let them cool and cut in half lengthwise. 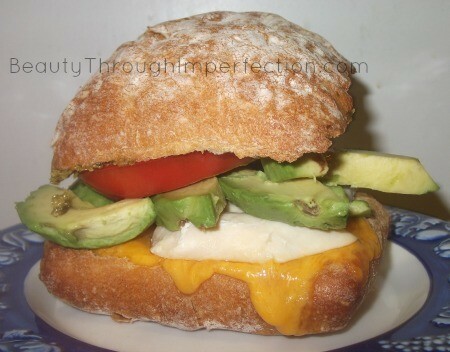 While the chicken is baking, slice the avocados, tomato, and cheese, set aside. Cut the ciabatta loaf into fourths and cut each fourth in half, to make 4 individual sandwiches out of the bread. Lay each piece of bread, face up on a baking sheet. 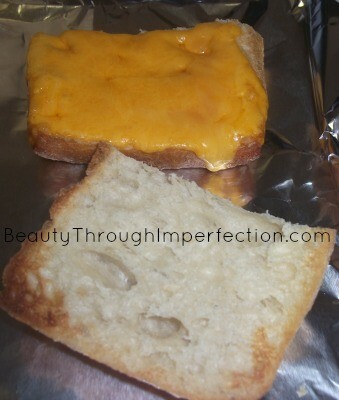 Place slices of cheese on each bottom portion of bread. Broil the bread for 2-3 minutes, until cheese melts. 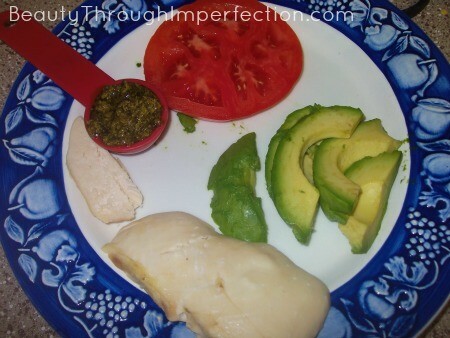 Spread 1 Tablespoon of pesto on the top portions on bread (the ones without cheese). Stack the sandwiches in the following order: Cheesey slice of bread, chicken slice, slices of avocado (5-6 slices or half an avocado), slice of tomato, top/pesto bread. Enjoy! These look delicious Paula!! I might just have to try these tonight. I’m making chicken now and have all the other ingredients (or can make them). :-) thanks for sharing! Looks delicious! I will be making these sometime soon. Thanks for sharing! Hey Buddy!, I found this information for you: "Pesto Chicken Ciabattas". Here is the website link: https://www.beautythroughimperfection.com/pesto-chicken-ciabatta/. Thank you.